Much like its 20-foot counterpart, the 40, can be used for shipping many different types of products. 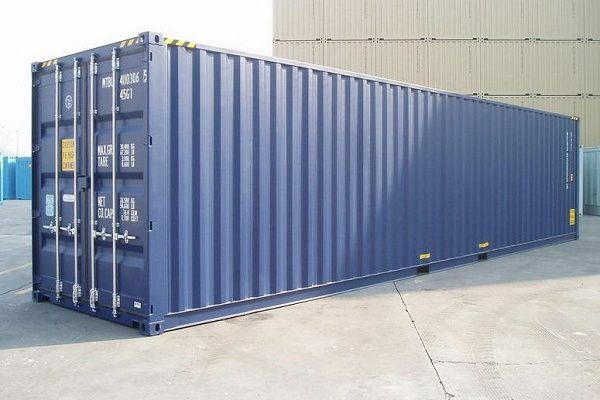 Although shipping and storage are not the only things that you can use a 40-foot pallet-wide container unit for; with some modifications, they can also be used as emergency housing after a devastating natural disaster such as a hurricane, tsunami, or even an earthquake. They can hold 2 to 6 pallets more than a standard 40-foot container. This makes them ideal for transporting goods, storage, and more. These modifications can also turn these into housing units during times of emergencies, an office space, a retail space or a workshop. What ways are these containers transported? Transportation is done via truck, train, or boat to anywhere. If you are shipping from one city to another, chances are it will be via truck; however, if you are shipping from one country to another it will depend on which way is the most viable way to ship. In some instances this will be by boat in others it could still be by truck or even by railway part way. Some of the transportation will be based on what is viable some will be on what you choose to use. Can these pallet containers be rented or bought? Actually both; you could rent one for storage or buy one to have it modified to make housing, office, or work/retail area. Generally, unless you are doing consistent shipping weekly or even monthly, you could find it is easier to rent the container from a shipping company when you do your shipping. As you can see, due to the versatility of the 40-foot pallet-wide shipping container it can be used for more than just shipping cargo from one port or city to another making a great option for many businesses and event people.